Peace Hills is an unusual endeavor, as it is an insurance company owned by the Samson Cree Nation. Though it does not directly write insurance, you can obtain general insurance products through its broker network. Responsible to the Samson Cree Nation as its shareholders, the company pledges fair, reasonable and flexible treatment of its clients. The company is committed to working with independent brokers to provide coverage. Its mission statement promises timely and creative solutions to any general insurance scenario. Based in Edmonton, Peace Hills Insurance began operations in 1982. The Samson Cree Nation was looking for new ways to invest oil and gas royalties in the early 1980s and took advantage of an opportunity to purchase a currently operating insurance company that was up for sale. The Edmonton Canadian Insurance Company was selling its charter, which allowed the sale of all variety of insurance protection except life insurance and, oddly, hail. General management of the company remained with the original company staff for day to day operations. As owners, The Samson Crees took a long range view for the company to assure profitability for Samson Management Ltd and ultimately the Cree Nation. At the time of the diversification, the Samson Cree Nation already had holdings in a trust company and a bank, so insurance was the logical progression. The legislative process to start an insurance company is complex and time consuming and there had never been aboriginal ownership of an insurance company in North America, not just Canada. When Peace Hills Insurance was licensed to sell, it was the first new insurer chartered in Alberta in 25 years and at the time it was one of just two Alberta-owned insurance companies. Firsts came easily to the company, including the appointment of the first woman appointed president of an insurance company in North America in 1990. Between 1995 and 2001, Peace Hills expanded outside of Alberta into other parts of Canada including British Columbia, Manitoba, Saskatchewan, Yukon and Nunavut. The company has always been progressive with information technology, using dedicated computer systems long before it was common in the insurance business. Around 200 employees and 478 independent broker locations operate in Manitoba, British Columbia, Alberta, Nunavut and Yukon and Saskatchewan. Samson Cree Nation owns Peace Hills Insurance and they distribute insurance products through the independent brokerage system. Since Peace Hills operates in three of the four Canadian provinces offering public auto insurance, its policies in this sector are not as extensive as a similarly sized insurer working in other regions. However, Peace Hills remains a full service auto insurance provider and in fact offers some non-typical products including recreational vehicle, motorcycle and collectors’ vehicle coverage. Peace Hills also adds automatic coverage when a driver reaches 25 years of age. If a motorist also carries home insurance with Peace Hills, the company adds their Package Plus Endorsement, which provides loss of use coverage, insurance for non-owned vehicles and waiver of depreciation endorsement on new vehicles. Collectors insurance covers antique, classic and vintage collectible cars used for exhibitions parades, car club activities along with occasional personal use. Not every auto insurance provider offers this coverage. Peace Hills offers discounts as per various criteria. You may get a discount when you insure your car and property with Peace Hills. If you are aged between 35 to 70 years then you may get a discount. When you insure all the household vehicles with Peace Hills then you may get a discount. In case you have a Peace Hills policy for 3 or more years then you may get a discount. Peace Hills offers mandatory car insurance coverage as per law in the province. They also offer optional coverage for better protection. They offer some coverage automatically to the car insurance policies as below. For drivers aged more than 25 years the car insurance policy will have rental car expenses coverage when you cannot use your car due to damage. When you insure your home with Peace Hills and are aged more than 25 years then you get the Package Plus (endorsement). This includes coverage for rental and borrowed cars, loss of use and depreciation waiver for your new car for a limited period. 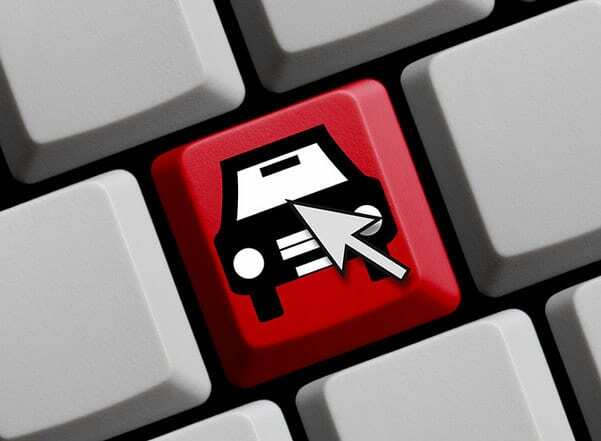 If you wish to cancel your car insurance policy you may inform your broker. They will help you with the cancellation and refund process if any. To file a car insurance claim you may call the Calgary branch phone numbers 403.262.7600 or 1800.372.9295. You may also call the Edmonton branch contact numbers on 780.424.3986 or 1800.272.5614. In case you are calling outside business hours then you may contact the emergency claims number 1800.272.5614. You may get a response from the claims department within an hour. Since Peace Hills do not directly write insurance policies, you may contact a broker to get a car insurance quote. Peace Hills has a large distribution network of independent brokers. They may help you with a quote as per your requirements. The following are the contact methods to get in touch with Peace Hills Insurance for your queries. Broker: You may search for your nearest broker on the website. Email: There is an option online to send an email about your query. Payments: The website has an online option to use your credit card to pay premiums. We are not affiliated and make no representations or warranties, recommendations or endorsements of Peace Hills Insurance. This article is our review of Peace Hills Insurance for information purposes only. The logos, trademarks, and copyrights mentioned in this article belong to the Peace Hills Insurance.